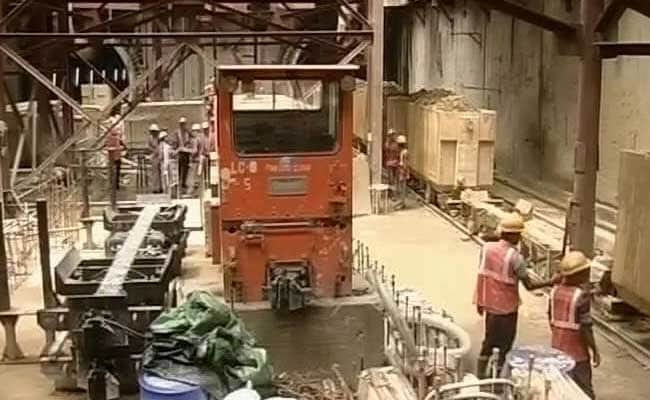 Kolkata: At least 50 kilometres of additional metro railway service will be added to the existing facilities in Kolkata by June 2021, Railway Board chairman Ashwani Lohani said today. With issues like land acquisition and transfer, protection of heritage structures in the heart of city having been sorted out, work in several metro projects in and around Kolkata are in full swing, Mr Lohani told reporters. "The entire East West Metro route from Howrah Maidan to Salt Lake Sector V, Kavi Subhash to NSCBI Airport and a 9-km stretch from Joka to Majherhat in the Joka-BBD Bag route will be completed within approximately the next three years," Mr Lohani said. He said that completion of the new 50 km in addition to the existing 27-km stretch from Kavi Subhash to Noapara will go a long way in offering comfortable transportation to commuters who now avail suburban trains or other modes of transport. The Salt Lake Sector V to Stadium stretch of East West Metro will be opened by Durga Puja in October this year, while infrastructure from stadium to Phoolbagan will be completed by March next year and passenger service will be started there by another few months, Metro Railway general manager Ajay Vijayvargiya said. Mr Lohani, who visited the tunnels constructed under River Hooghly for the East West Metro corridor, said the crucial underground stretch from Barrabazar to Esplanade would be completed within the next three months. This congested 3-km stretch passes underneath several heritage buildings and monuments in the Dalhousie area, one of the oldest office hubs in the country. Stating that land acquisition in West Bengal was not a simple task, the Railway Board chairman said that with the Kolkata mayor having assured handing over of land soon for the Joka depot in the Joka-BBD Bag route, work on construction there would commence soon. Mr Lohani said that work is in full swing for the metro projects in the city with most of the land-related issues having been sorted out.